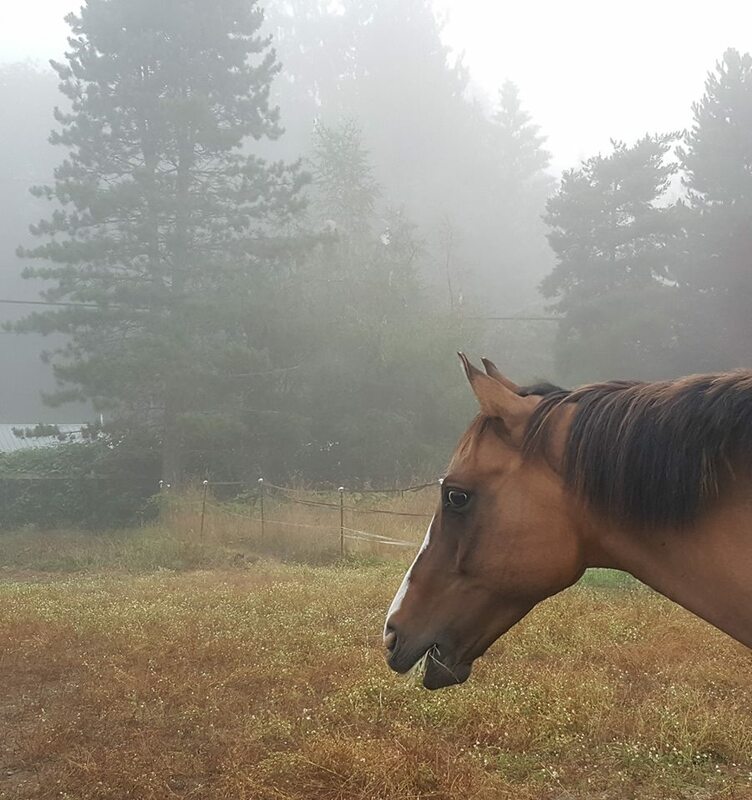 The combination of morning fog and smoke from recent wildfires is especially irritating to horses in warm weather. Warm weather brings out flies, and with them so do the fly masks for horses. However, fog tends to suspend smoke particles in the air and make those particles stick to the little holes in the fly masks, making the irritation to the horse's eyes worse. So it is recommended that on foggy, smokey mornings to leave off fly masks to avoid compounding the irritation and allow the horse the ability to wash their eyes and nostrils in their water trough to get rid of the irritating smoke particles. Our horse guy, Michael Hipp's horse, Whiskey. Here are some other related articles about general horse care and fly control. Always feel free to reach out to Michael with any horse related questions at 425-377-7019.